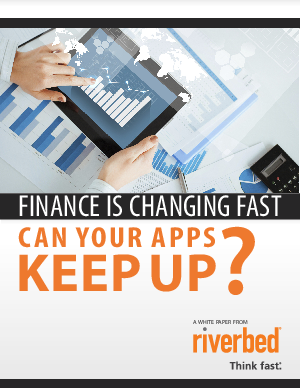 > Riverbed > Finance is Changing Fast Can Your Apps Keep Up? The financial industry is tough. Things change fast, and the field is always becoming more competitive and global. Likewise, clients are more demanding than ever, and customers now expect nothing less than 24/7 accessibility and reliability.